Plus Side – The Horizon Banksia + 2 van conversion is a versatile traveller. 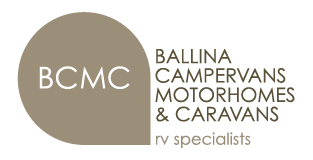 Large van conversions are a bit of a compromise when it comes to motorhomes – a good compromise, I would like to add. They are versatile in the sense that they are a fully-equipped motorhome but they are also small enough to be used easily in urban areas. Another advantage with some designs is they can also be used as ‘people movers’. A good example of this is Horizon’s Banksia +2. The ‘+2’ in the title refers to the two passenger seats behind the driver’s cab. As I’m a bit of a Jaguar E-Type fan, I keep thinking of the Banksia as the ‘2+2’ model. Of course, I understand they aren’t quite in the same league. But I do tend to think of the Fiat Ducato as the ‘sports car’ of the motorhome world – especially when it comes with the 3L 132kW turbodiesel engine – so it seems apt enough… Well, to me, anyway!